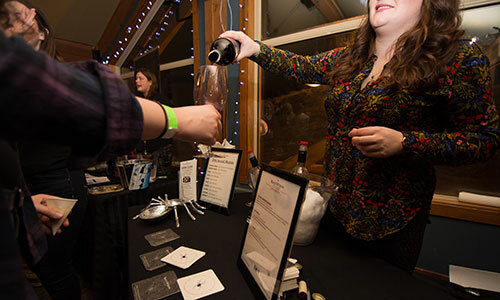 Presented by Apex Mountain Resort together with the Naramata Bench Wineries Association, Vertical & Vintages is an epic annual wine-tasting event hosted by the Gunbarrel Restaurant. 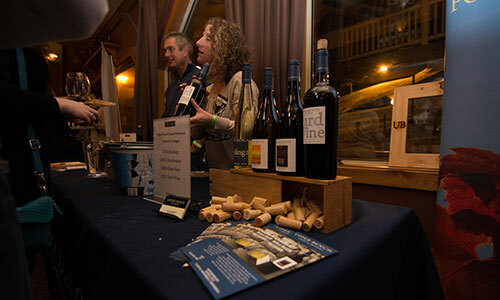 The Vertical & Vintages Saturday-evening event is one of the highlights of the season at Apex Resort. Enjoy an evening of sipping many of the famous wines from the Naramata Bench. These local wineries will be pouring an outstanding selection of tastings and the wines will be complimented by delicious tapas and chefs’ specialty creations served by Gunbarrel’s gourmet kitchen. Join friends and meet new ones during this wonderful social evening of tastings. After the event, the Gunbarrel Saloon and Restaurant is hosting live music by Uncorked and dancing to round out a perfect evening. Make it a Great Weekend of Friends, Tastings and Skiing! Minimum of 14 people to operate. 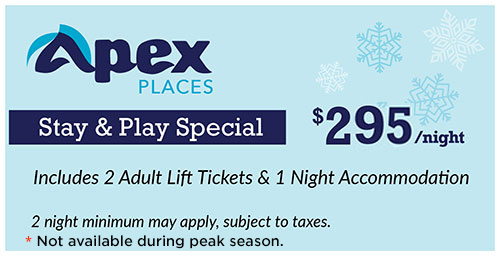 Email Events@apexresort.com to book your seat! pick up at 620pm. depart the resort at 10pm. Contact Apex Places to book the perfect accommodations for the Vertical & Vintages event.